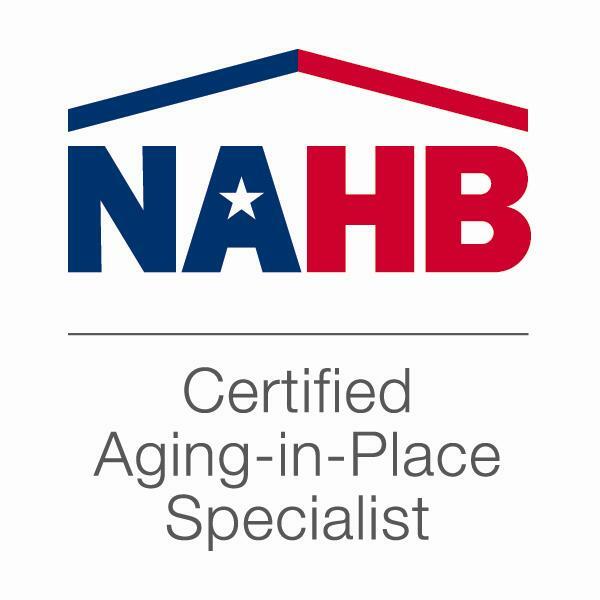 The Certified Aging-in-Place Specialist (CAPS) designation was developed by the National Association of Home Builders (NAHB) Remodelors™ Council, in collaboration with the AARP, NAHB Research Center and NAHB Seniors Housing Council. This program was developed to provide professional training that would enable them to accommodate the needs of people over the age of 50, as well as the knowledge they would need to modify their homes for aging in place. A CAPS certified professional has been trained on the unique needs of seniors, modifying homes so someone can live there longer as they age and addressing the most common barriers in a home. 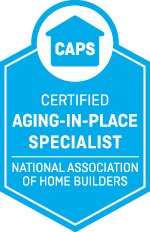 If you are concerned about making your home ‘aging ready’, a CAPS certified professional could be very helpful in making sure your future needs are addressed during your remodeling project. Choosing a Certified Aging in Place Specialist to work with you on your home remodeling project means you are selecting someone who has been trained by the National Association of Home Builders in running a business (and crafting home remodel solutions) for seniors and the elderly wishing to age in place. When you use the services of a Certified Aging in Place Specialist, you can rest assured that we have been reliably instructed on how to craft solutions that meet the needs of seniors.